● We opened in February 2013. We opened in February 2013. 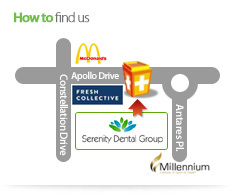 We have a number of interesting dental packages for all new patients. Please call us on 479 3580 to book an appointment.